Average Joes Archery is available for your next work meeting, company outing or team building event. Hosting is available for large corporate events down to a small business Christmas/holiday party. 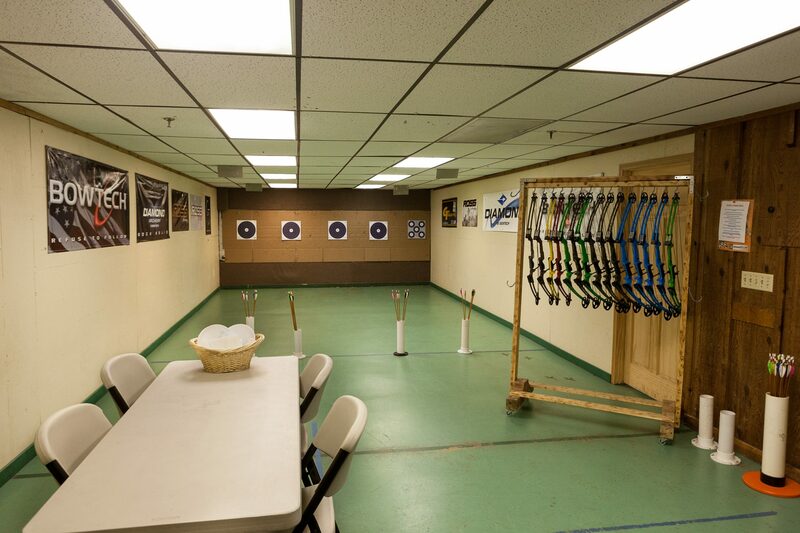 We can provide a meeting space (room rental), archery equipment (rental bows and accessories), entertainment, and activities for all skill levels. You are welcome to bring your own food or we can arrange catering if needed. Group lessons, customized archery classes, open shooting on our archery range, TechnoHUNT, and rental equipment are all available to fit your needs. Want to wind down after a meeting or entertain a client? Try our TechnoHUNT virtual hunting system. You can bring your own bow or try one of ours. A room rental rate per hour and shooter fees will apply. Contact us for more information and pricing. Past corporate clients include Best Buy, Krause Anderson, and Medtronic.